The TB-12 Trembucker possesses a moderate output. It has clear similarities to vintage P.A.F?s but with an incredible growl. The Screamin Demon is perfect for classic rock, jazz-rock fusion, heavy rock and aggressive instrumental rock. Please Note: This is a Bridge Pickup. The Screamin Demon was custom made for the legendary guitarist George Lynch. 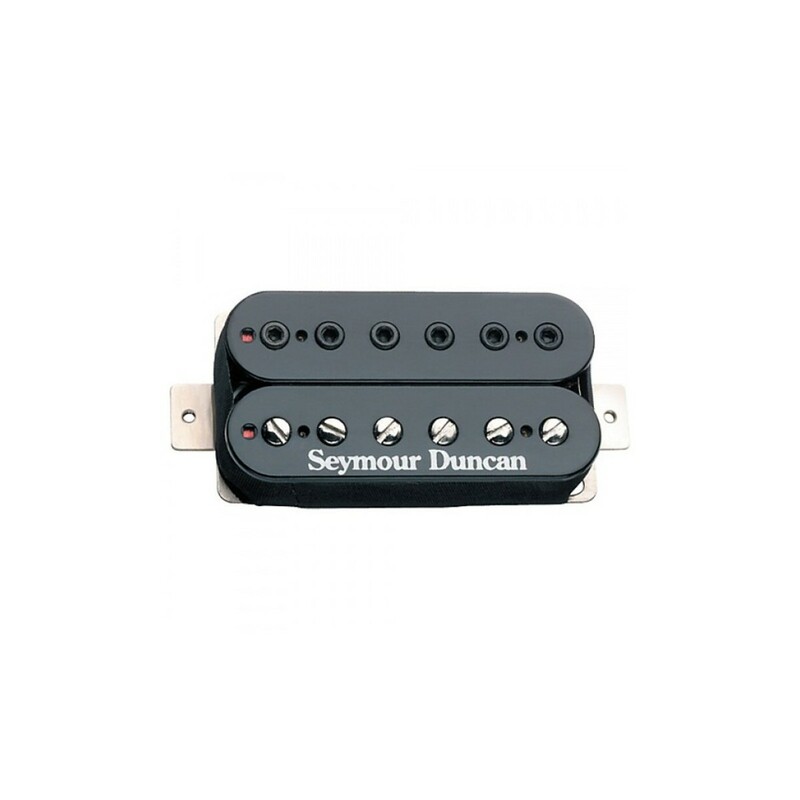 Screamin Demon has huge open sound similar to the Seymour Duncan 59 Model TM with a lot more growl. This pickups tone is big and has great percussion. The treble response is detailed and defined, this makes for a clean sound with no harshness. The TB-12 has one row of Allen screws and another row of standard slotted screws which create the unique airiness of this pickup. Uses a 4c hookup cable. Works especially well with balanced and warm instruments. Goes hand in hand with rosewood fingerboards.